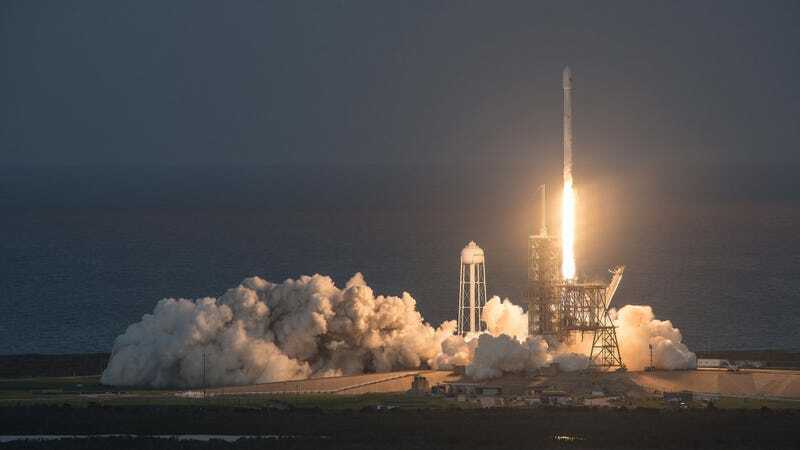 After several delays (and let’s face it, a horrible yesterday), it’s probably about time that NASA/SpaceX get a move-on and show us that incredible reused rocket launch. You can watch it below, starting at 10AM Eastern today. As we’ve written, this launch will be a big freaking deal, the first time NASA will have used a previously-flown rocket to do an ISS resupply. Both the rocket, a Falcon 9, and the spacecraft, a Dragon, have seen spaceflight before. It would also be the first time the company used its refurbished Cape Canaveral launch pad since last year’s Falcon 9 explosion, reports Wired. We’re crossing our fingers this actually happens. The launch was delayed from December 5th to this past Tuesday, then again to Wednesday, and again to today. If they delay again, “the next launch opportunity would be no earlier than late December,” according to a NASA blog post. But NASA’s already in countdown mode, so things are looking good. Liftoff is slated for 10:36AM, ET. We’ll update this post if anything weird happens, but let’s hope those ‘nauts on the space station finally get their stuff, you know what I mean? Update, 10:36ET: There it goes! Also, I saw a dolphin right before liftoff. That was cool. Update, 10:40ET: The rocket’s first stage has reached its highest point and is coming back down to Earth. Update, 10:46ET: Falcon 9's stage one stuck the landing back down at Cape Canaveral, and Dragon has successfully separated from Falcon 9's second stage. Update, 10:52ET: Thanks for watching! The Dragon spacecraft is on its way to the ISS. The two will meet up on December 17, which you can watch back on NASA TV or here.